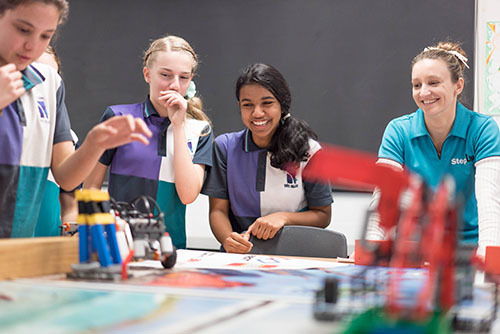 High school students on Brisbane’s northside have celebrated the end of an eight-week robot-building journey with a community showcase of their robots at Murrumba State Secondary College. FIRST Tech Challenge is a robotics program developed by For Inspiration and Recognition of Science and Technology (First) and is designed to encourage interest and long-term careers aspirations in STEM fields. Strengthen your STEM teaching practice through a variety of hands-on activities, discussions with fellow educators and scientists, and visits to cutting-edge science facilities.